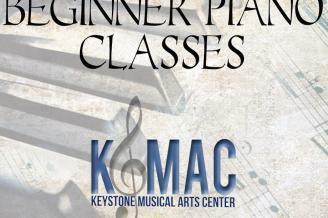 The Keystone Musical Arts Center (KMAC) is a nonprofit school of music providing opportunities for students of all ages to extend their understanding of music through private lessons, group classes, unique ensemble experiences and summer camps. We look forward to relocating to a new facility in Hampden Township in 2016. In the meantime, all of our activities are taking place in temporary locations around Mechanicsburg. For the latest updates, visit our Facebook page at facebook.com/KMACenter.